Remodel at Wingers in Mountain Home! Is there really a better gift than Wingers Amazing Sauce? If you frequent Wingers in Mountain Home, this news of a remodel may be no surprise to you. However, to everyone else, it probably is exciting news! 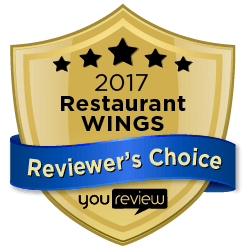 Among our various locations, we have created different concepts, or in other words, different approaches to how you experience a Wingers Restaurant. Prior to the remodel, our Mountain Home location was a Bar & Grill concept, but has now been made into our Restaurant & Alehouse concept. This remodel now makes it the third Idaho location to converted to our Wingers Restaurant & Alehouse concept, following Nampa and Meridian. The restaurant was closed for three days as it was updated and remodeled, and reopened last week on Thursday, January 11th. The restaurant now carries 30 different beers on tap (including our great Winger Bros. Beers! ), and has a great new updated and contemporary look and feel. However, if you are not in Idaho, do not fear! You can try out this new restaurant concept at our Murray, Brigham City (and soon-to-be Logan) locations in Utah!